On a snowy Christmas Eve, their anniversary, Marlee and Jacob take a treacherous drive to sign papers signaling the end. Tired of fighting, tired of the pain, and no passion left, they have chosen to end their marriage. But a shortcut over an icy mountain pass brings Marlee on a collision with her life. Visions of the past haunt; images of the present and future make her wonder if they have chosen the best course. With a nod toward Dickens and a heaping helping of truth from bestselling author Dr. Gary Chapman, this surprising tale will take you through twists and turns and lead you on a journey into the power of snow. If your heart needs rekindling, if you long for unconditional love, this story will bring warmth and hope. 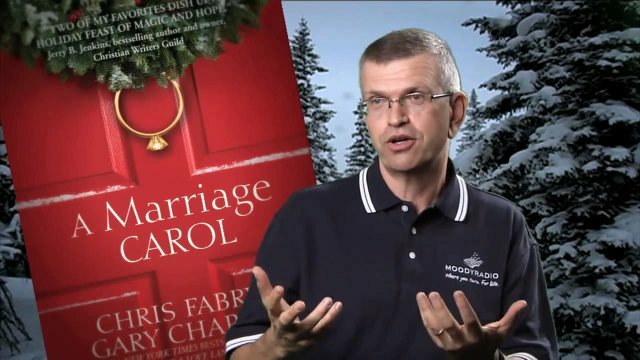 Chris Fabry and marriage expert Dr. Gary Chapman, author of The Five Love Languages, team up to present a Christmas novella offering hope for struggling marriages. The book released in the fall of 2011 and was named a finalist for Christian Retailing magazine's 2012 Retailers Choice Award in the Fiction: Contemporary Romance category. 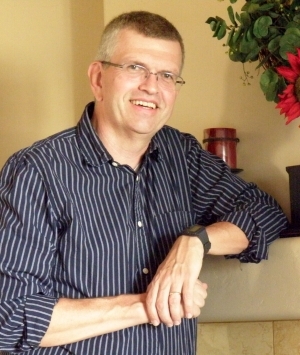 Chris talks about the Moody Radio audio adaptation of A Marriage Carol. The audio drama of A Marriage Carol is available seasonally at Moody Radio's website. "Two of my favorites dish up a holiday feast of magic and hope." "Nothing hits our hearts like a story. Chris Fabry and Gary Chapman have written a fictional parable that expresses the true pain in and hope available for so many marriages. It's an easy read that can make big changes in your marriage!" "Sometimes it takes a hard skid and crash before people stop long enough to realize we can't receive the kind of love we crave unless we're willing to live it. In A Marriage Carol, Chris Fabry and Gary Chapman illustrate that taking the leap of faith to work through difficulties can result in unexpected blessings and the promise of great reward for those who refuse to give up. A joyous, passionate honeymoon of a story perfectly fit for the Christmas season." "A challenging yet heartwarming tale that will touch readers long beyond the holiday season. This novella—combining the storytelling prowess of Fabry (Almost Heaven) and the marriage expertise of Chapman (The Five Love Languages series)—will change lives with its message 'that there is great power in small choices.' Chapman's afterword and discussion questions deepen the impact. This is a tiny book with a huge message." "Paying obvious homage to Dickens' A Christmas Carol, Chris Fabry & Gary Chapman provide an engaging family fantasy that starts off with an emotional question of 'When do we tell the kids?' An entertaining parable, the story line focuses on the importance of honesty and communicating as the key fuels to maintain loving relationships. Although the cast is never deeply developed beyond relational roles, readers will appreciate this fun contemporary version of the classic."